Nablus. Palestinian Territories. 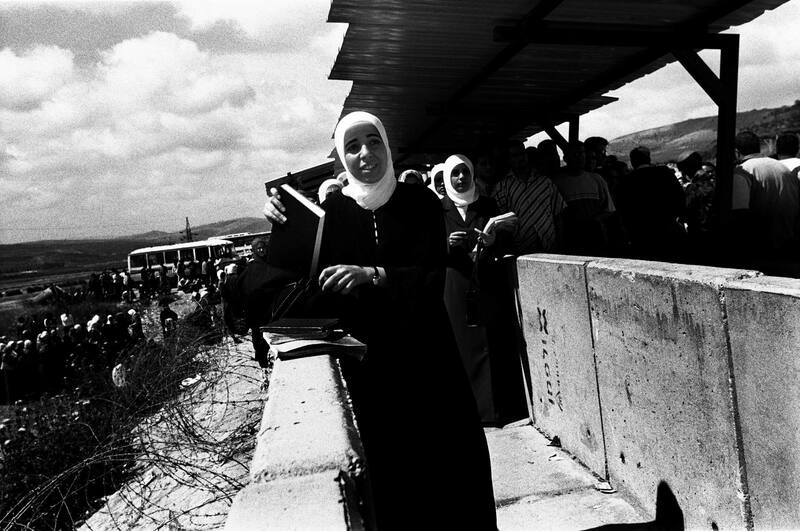 April 2004 A Palestinian student searched by IDF on her way to college at Hawarra Checkpoint, on the outskirts of Nablus.